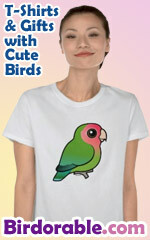 All of our products are made-to-order using the print-on-demand technology of Cafepress.com. Each time Cafepress receives an order from our online shop, their production facility jumps into action to produce and ship your high-quality finished product. This round birdwatching design is a great way to show you're a local birder in Utah! The state is shown in red with a flock of fowl flying. Be a proud birder in this great original design!